Hamish’s family law practice is concerned with the financial claims of: spouses on divorce; co-habitees upon separation and dependants from the estate of a deceased. In the context of financial provision on divorce, he has particular expertise in: cases involving family businesses; professional clients and the military. He advises and represents co-habitees, co-owners and other family members on property issues including: legal and beneficial ownerships (and the Court’s powers under TOLATA); promisory and proprietary estoppel. He advises on Inheritance Act claims. Hamish has been Head of the Family group at 3PB since 2015. Acting for a Husband who has successfully contested his Wife’s petition for divorce based on grounds of unreasonable behaviour. The Court of Appeal and supreme Court both rejected the Wife’s appeal. Acting for a Wife in her claim for financial provision from Husband. Although the parties themselves had modest assets, Wife was defending Husband’s attack on a family trust in which she had an interest: both in relation to income (until her father’s death) and thereafter capital. The Trust was valued at £3.5M. Financial Provision on Divorce. Parties own and Husband operated a successful general trading business from a site in Oxfordshire. The parties thereby acquired and retained a portfolio of UK investment properties. Value of assets = c.£14M. Husband disposed of a number of the properties into offshore trusts which Wife is attacking. The Oxfordshire business site is currently under development for residential housing and there are complicated tax issues. Applications for: a declaration of paternity and relief under Schedule 1 of the Children Act 1989. Representing a UK resident mother in her applications against a Dubai- based businessman father. Father was extremely wealthy and chose not to disclose his assets, running a ‘millionaires defence’. The case involved issues of: jurisdiction and the extent to which a previous agreement reached by the parties should be binding on them. Representing a widow on her application for financial provision from her deceased husband’s estate. Her husband’s estate left nothing to the widow save an entitlement to remain at her family home for life. Inheritance Act claim. The claim was bought by a number of dependants against the estate of the deceased who was a property developer on the South Coast. The estate included a number of properties and the shares in the deceased’s company. Financial claims between a Cohabiting Couple. Competing claims to various interests in the parties’ family home; farming business and associated farmland. Financial claims over Dynastic Wealth within a Family. Competing TOLATA claims concerning 2 existing properties but involving tracing financial interests through a 3 further houses. On 15th March 2017, the Supreme Court gave judgment in the appeal of The Blue Cross and others –v- Heather Ilot [ UKSC 17]. The case concerns Mrs Ilot's application brought under the Inheritance (Provision for Family and Dependants) Act 1975 ('the Act'). Although the Act is now over 40 years old, it has never received substantive review by the most senior Court in the country. This appeal has therefore been eagerly awaited by practitioners in the expectation of guidance in particular in relation to: managing the frequent tension between a Claimant's needs and the testator's wishes; and the definitions of reasonable financial provision and maintenance under the Act. The case concerns the class of Claimant whose dependency arises in a context of being other than a spouse or civil partner. It obviously remains to be seen whether the Court will now find an opportunity to review the law in cases involving a spouse as Claimant. In the meantime, this case provides specific assistance in relation to 'non-spouse' cases and some general jurisprudence in relation to all claims under the Act. ‘always conducts himself with the utmost professionalism’. ‘court demeanour is controlled and eloquent'. 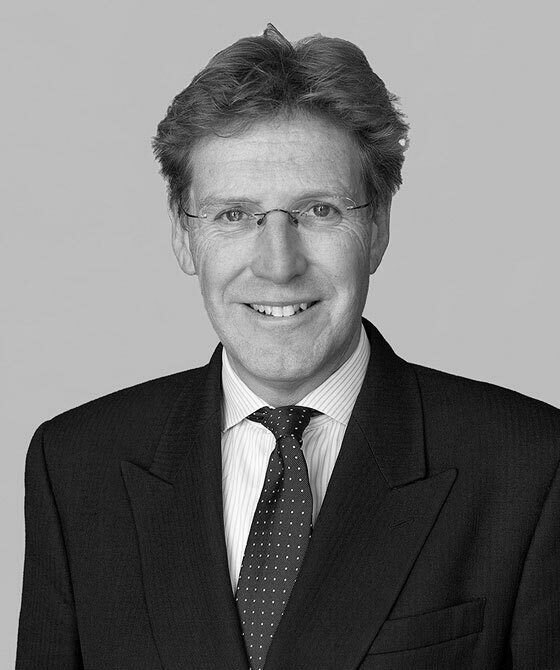 Hamish Dunlop (3PB Barristers) National head of the 3PB Family Group whose practice is concerned with all financial cases arising from the dissolution of relationships, including cohabitee cases. His particular areas of expertise include cases involving family businesses and property based assets. "Hamish is outstanding with numbers; he's like a human calculator." "He is very well prepared, and has a nice client manner and good judgement. He's analytical and possessed of a good mind." Recent work: Represented the respondent in a petition for divorce in the case of Owens v Owens. After Mrs Owens's appeal was dismissed by the Court of Appeal, the case has now gone to the Supreme Court. Head of the national family group at 3PB and an authority in the field of finance-based family law. He concentrates on litigating claims relating to separation, divorce and inheritance and deals with assets of all kinds, often in multiple jurisdictions. He is noted for his knowledge of business and military issues. "Thorough, meticulous, pragmatic and a great advocate on his feet." Recent work: Represented the respondent in Owens v Owens, a much-publicised petition for divorce based on allegations of unreasonable behaviour. Continues to manage a broad clinical negligence practice that encompasses cases concerning obstetric and orthopaedic injuries, including negligence stemming from general surgery. He offers a wealth of experience in complex dependency claims, as well as claims involving housing requirements and lifetime care. "Exceptionally good advocate and very skilled in negotiations." "He is excellent with clients and experts, knowledgeable and experienced in a variety of matters from complex orthopaedic claims to laparoscopic surgery." "Very good in court and does not get fazed if information is provided at the last minute." Strengths: "He's very good at breaking things down and getting to the root of legal and medical issues. In conferences he reins clients in, manages their expectations and explains the area in a way they can understand." "He handles tricky cases very well. He's good with the client and is good on detail." 'Recognised for his approach to complex cases, he demonstrates particular expertise in handling cauda equina matters. He provides additional support on care and housing requirements, as well as on dependency claims. 'Has a strong practice focus on clinical negligence work, with complementary experience in the related areas of care and housing requirements for the afflicted. He particularly specialises in dependency claims being brought by spouses, children and partners. 'Undertakes a wide range of work, with proficiency in cases relating to accommodation needs and lifetime care. In addition, he specialises in dependency claims brought forward by partners and children. '...barrister with a significant reputation in the field. He is noted for his expertise in high-value serious injury and fatality claims. Hamish Dunlop is qualified to accept instructions directly from members of the public and professional clients under the Direct Public Access scheme.